All week, we have been celebrating the 10 billion app milestone that the Android Market achieved. 10 cent apps anyone? Yes, please. 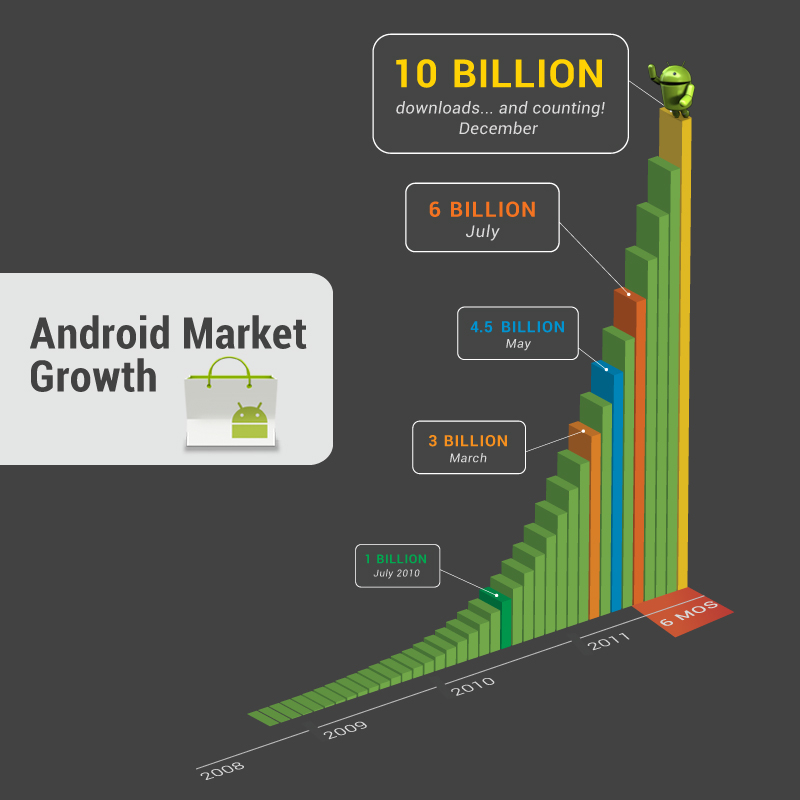 If you were dying to find out more info on those 10 billion app downloads though, then the Android Developers team has you covered with one massive infographic. Stats that you will find include the most popular time to download apps, which countries download the most, which categories are the hottest, how many miles have been navigated on Google Maps, and how many cans have been knocked down playing Can Knockdown. Fun facts. Full infographic after the break.